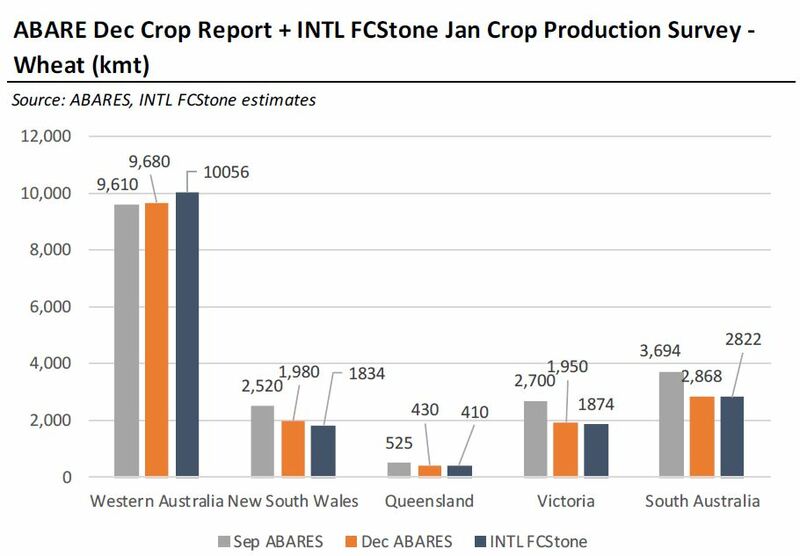 INTERNATIONAL crop watcher, INTL FCStone, has revised its production estimates for Australia’s 2018/19 crops, raising the projected figure for the key grains – wheat, barley, canola and sorghum. 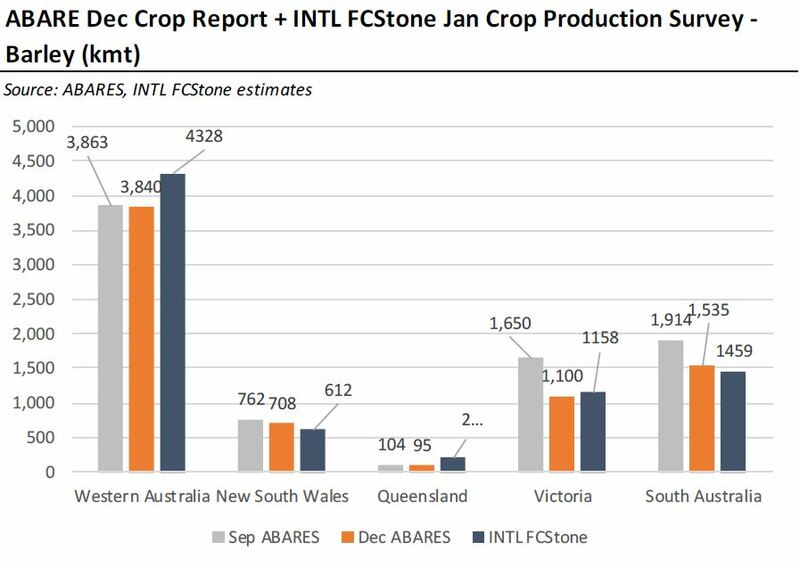 Based on a survey of its Australian clients, INTL FCStone has lifted Australia’s wheat production estimate for 2018/19 to 17.0 million tonnes (Mt), a rise of 0.53Mt on its December estimate of 16.87Mt and slightly above ABARES December forecast of 16.96Mt. 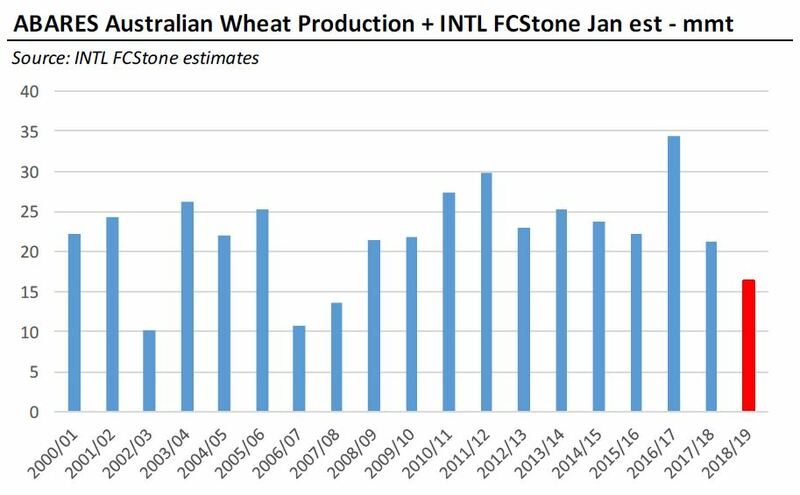 The five-year average for Australian wheat production is 25.385Mt. 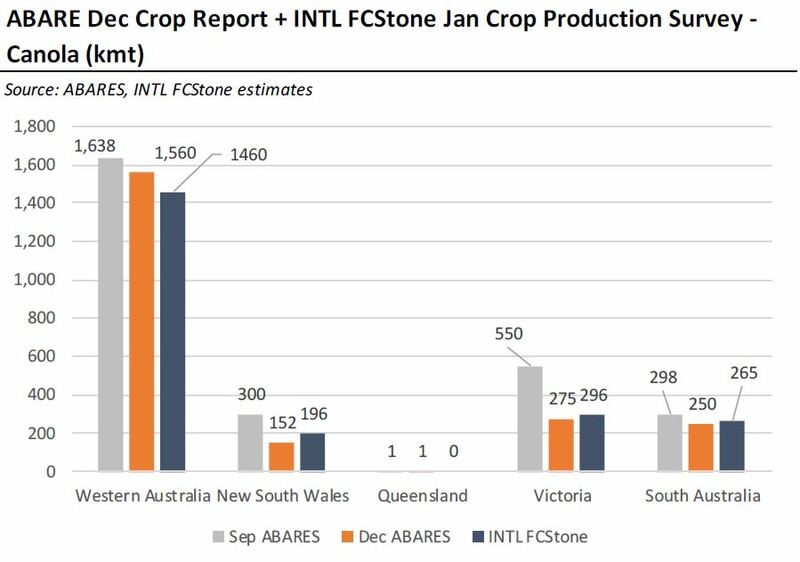 For barley, the estimate for 2018/19 is now for 7.76Mt, an increase of 0.53Mt on the December prediction of 7.23Mt and above ABARES December estimate of 7.312Mt. 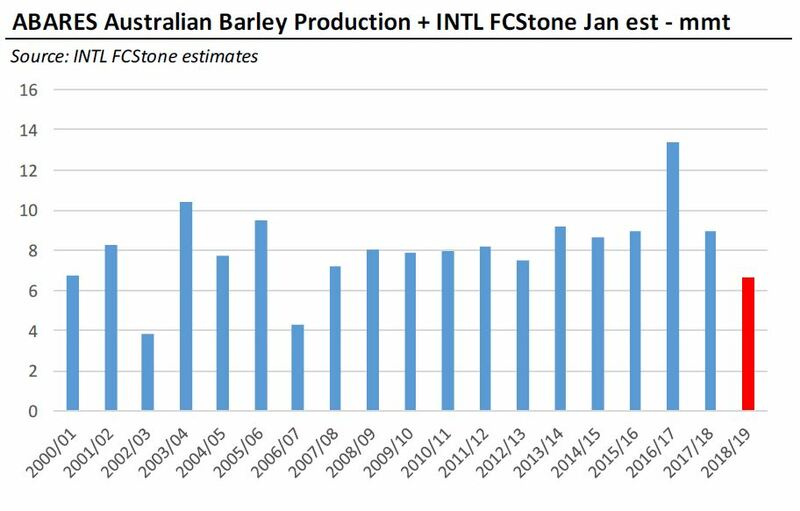 The five-year average for Australian barley production is 9.8Mt. 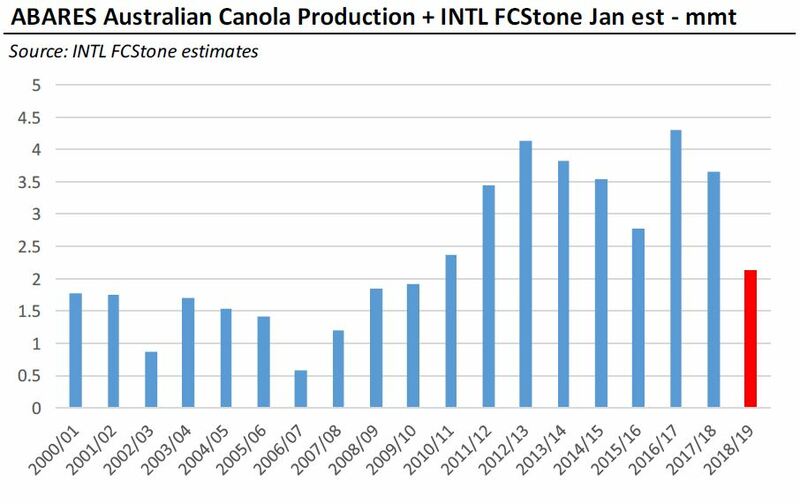 INTL FCStone estimates Australian canola production for 2018/19 will end up 2.22Mt, slightly higher than its December estimate of 2.03Mt and well below the five-year average of 3.6Mt. For sorghum production, the estimate for Australia is 1.69Mt, slightly higher than the December estimate of 1.52Mt and not far off the five-year average of 1.710Mt.